Understanding how to configure a network switch is a complicated process if the technology is new to you. In fact, it is recommended that you hire experts who can do configuration and network management. In this article, we will discuss briefly what a network switch is before we discuss the steps on how to configure a network switch from Cisco. A network switch is also referred to as switching hub, bridging hub or officially MAC bridge. To know how to configure a network switch is to know its basic definition first. Take note that this device is used for connecting all the components of a computer network with the use of packet switching. It allows data to to be received, processed, or forwarded to its intended destination. It is a multiport network bridge that process and forward data at the data link layer (layer 2) of the OSI model by using hardware addresses.Some network switches can do the same process at the network layer (layer 3) by including routing functionality as add-on. Those specific network switches are called layer-3 or multilayer switches. What makes the network switch different from other switches is that, it forwards data only to the devices that need to receive it. 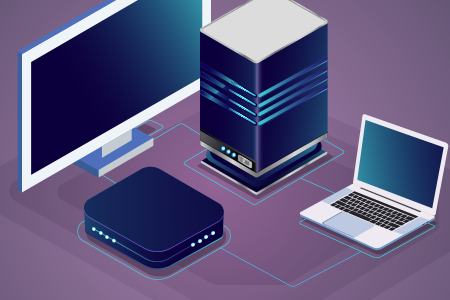 Knowing how to configure a network switch is just one of the skills you need to learn to fully understand how your network can be at its topnotch status. The unmanaged network switch is for the effortless plug in and then they’ll work right away. You don’t need to ask how to configure a network switch if you’ll be using the unmanaged type. This is the common switch we find in our home network, our desk, in a lab or even in a conference room, for as long as a few more ports are needed. The managed network switch, on the other hand, provides the security, features and flexibility you need in exchange of the responsibility to learn how to configure a network switch. Since it can be controlled and custom-fitted, you can protect your network better, and you can ensure the quality of service for those accessing your network. Network switches are not the only switch you might be using in network management, so it can also help if you would get to know the basic types of network switches as you prepare for possible changes in your setup in the future. You can also opt for a trusted company to outsource the maintenance of your system and keep the stress at bay. How to Configure a Network Switch from Cisco and Make It Work? This is just one of the ways to set up and learn how to configure a network switch. These steps that can be followed for the basic setup of Cisco switches. Other things can be configured in different ways depending on the requirements of each particular network.